A friend of mine has a saying; the “soft” stuff is really the hard stuff. In other words, some of the “intangibles” have the most direct impact on hard business results. The intangibles can also be the toughest to manage. Assuming that employees know the expectations, and they are willfully not meeting the standard (poor attitude). No expectation of support from top management. No knowledge of standard expectations. No standard expectations to manage to. Any reason given for not addressing sub-par performance quickly is not a good reason. Performance problems cost real money, otherwise known as avoidable losses. Overstaffing, excess overtime, higher turnover, production errors and rework are some symptoms of deficient performance feedback. 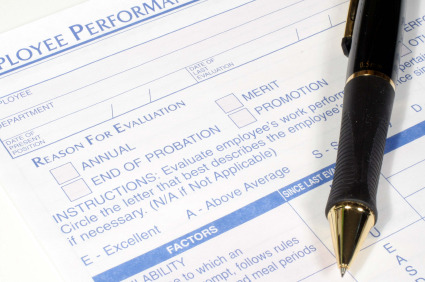 Because written performance reviews are also part of the (should-be) ongoing documentation process, long-term costs can include high unemployment compensation rates, legal fees, fines, penalties and other hr problems. Get the employees to buy into their performance goals. Since they do the job on the regular, your employees should have great improvement ideas. Ask them how they think they should be measured, and use at least some part of their feedback. This will get you buy-in, extra effort and more profits. Explain how the employees’ goals are relevant to the Company’s success. If they see the connection, they will trust you more for giving them meaningful work. Trust is a key factor in reducing turnover, a clear drain on profitability. Employees tend to assume things are fine unless you tell them otherwise. No news may feel like good news; giving an employee a chance to improve is real good news. Review everyone, regardless of their position. In high performing organizations, no one is above receiving feedback, delivered in a respectful manner. Having standard processes for all keeps employees’ attention on production, not grievances, complaints and other activities that don’t produce profits. Any employee who is good enough to hire should be given every opportunity to do his/her best work. Best work = best profits, if the job and performance criteria are well designed. 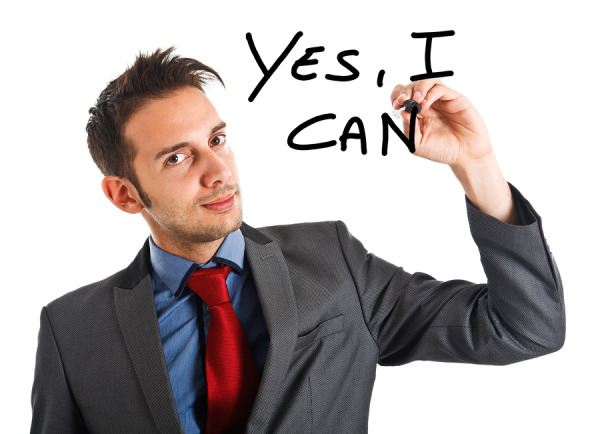 Maximize your profits; talk about performance with your employees. Performance reviews are invaluable hr solutions. By special request, the next few blog posts will deal with maximizing profits from an HR viewpoint. Admittedly, some of what we share may not sound like what you would expect from HR; maybe it’s time for new expectations. Besides, people-related costs are often the largest cost category for an organization; why not expect valuable, distinctive input from HR, the people – people. I am a huge proponent of organizational charts. They are valuable because they make the root cause of some cost problems more evident and manageable. If you don’t have a current organization chart, you are missing a valuable cost management tool. Make one, and keep it current. Group 1 Employees do something that your organization gets paid for. They are typically responsible for a specific revenue number (e.g., Sales) or the Organization can bill for their services (e.g., Production employees)…or both. Group 1 is all about results…especially short-term results. Group 2 Employees do something that directly impacts the success of Group 1 Employees. Usually, the number of Group 2 Employees scales with the number of Group 1 Employees, or with some financial or operational metric. Group 2 Employees include Managers of Group 1 Employees and workers who process inputs or outputs for Group 1 Employees (e.g., Appointment Setters for Sales Team, or Customer Service Representatives). Group 3 Employees provide some work output or expertise to support or increase profits. Their impact on the Company’s day-to-day finances is typically indirect and long-term; as a result, it can be harder to quantify the value of their contribution. Scaling the number of Group 3 Employees can also be a challenge. Group 3 employees may include Accounting, HR, Legal, Marketing, IT, Purchasing or other similar functions. Every box on an organizational chart must have a classification (Group 1, 2 or 3). Write each position’s classification directly in or next to its box on the organization chart. Don’t cheat the process; only use the three classifications listed in this blog. If you have a role that doesn’t fit any classification, that job needs an immediate redesign. Count the number of persons in each classification. Based on your knowledge of your industry, market and unique business, are there enough employees in Group 1 to support the number of Group 2 and Group 3 employees? Is the revenue flow sufficient? Consider how well each group is performing. Are their performance goals understood and well designed? Are you able to tie the goals to a financial metric? Could you be missing some key Group 3 Employees? Does your Company overpay for routine costs due to mistakes, rework, penalties, or other avoidable issues? Are there other ways you can configure your organization to make Group 2 and 3 employees function more like Group 1 Employees? These points are just a beginning to organizational analysis. The main thing is to remember that people drive profits. Organization structure can leverage or limit your Company’s performance. Make sure your Company is structured for success; review your organizational chart, and be sure you are set up to achieve the results you want.